Very little is known about the early days of design in India because very little has been written about it anywhere. The news media and the wider general business and political media is simply not interested in design and they have studiously avoided any commentaries about design and designers ever since the Indian Independence. Design journalism was tucked away in back pages and remote corners of art and architecture reporting and sustained design publishing has been a long time coming and it still has a long way to go. I have always wondered why this was the case till I read Gui Bonsiepe’s analysis of the evolution of design research and practice and its links to design journalism and serious design publishing that leads to the development of new theory. 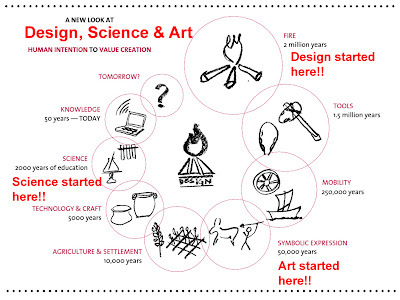 In his book “Interface: An approach to design” (1999) he tables the evolution of design publishing and correlates it to the evolving status of design research and practice in a country. Indian design education, research and practice has been flying under the radar for over 68 years since its independence and at this stage the country is just about beginning to acknowledge its major Institutions and we as a country are still in denial about its value to its economy and a culture forming resource and activity. It is only design scholarship of a very high calibre that will help change that condition. While the country at large has been ignoring the design community and its institutions I cannot say that the design community has been ignoring the country and its needs. A lot has been happening and individual designers and clusters of design teachers have been bravely carrying on their explorations and efforts to work and contribute across 230 sectors of our economy but we are sadly not aware of these efforts since design publishing has just not covered these activities and achievements. Occasional conference papers and books from within the design research community rarely reaches a wider audience and designers themselves seem to hold the brief that if they just do their work diligently that work would speak for itself, which sadly is never the case. 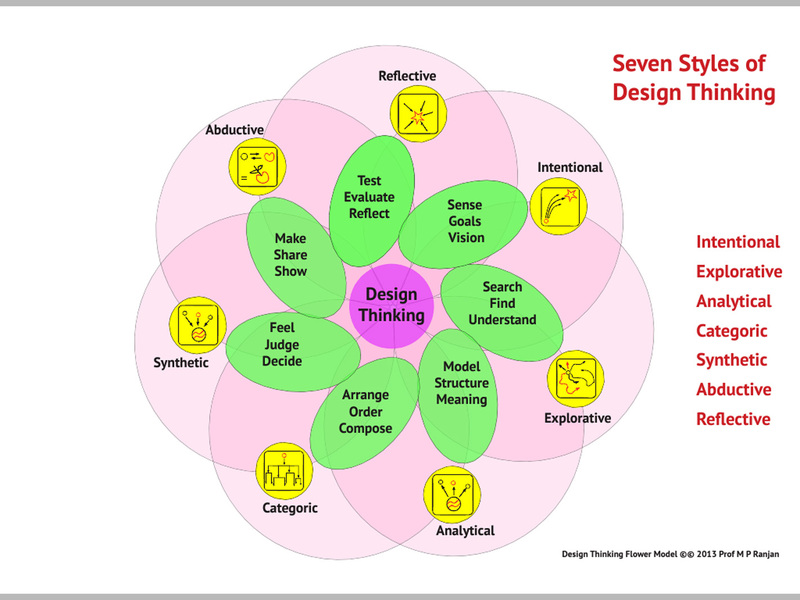 Further, understanding design which is a multi facetted activity is difficult since most of what is on offer as part of the synthesis is invisible in the form or performance if that offering. 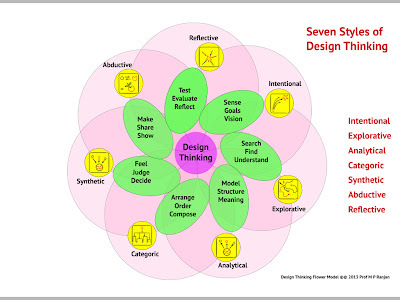 Design research is gradually revealing the complexity of the design discourse and strategies and values can only be made visible through detailed analysis and reflective ponderings about that very offering. Very elusive indeed. Critical discourse is essential if we are to make the invisible value of design visible to policy makers as well as stakeholders alike. Design is today entering the Universities here in India and the possibility of a new form of critical appraisal has become a reality. However design research divorced from practice can once again become a sterile debate and far removed from the rich learning that reflections on practice can bring to our understanding of design and its role in development and in addressing real needs of our society. However, knowledge and understanding do not come without a process and here we need to recognize that even in the design publishing space we will need to journey through all these stages of first documenting our reality and experiences followed by discourse and debate about multiple points of view some explaining gradually understood concepts and strategies and through this sometimes intense debate we will glean nuggets of truth, all hard earned from the huge volume of experiences that would be the foundation for such theory formation as we go forward. True maturity will be achieved by the profession only when we are able to reflect on our collective practices and build an articulated body of theory, which would in turn inform a deep philosophy of education, research and practice in the days ahead. Sudhir Sharma, Editor in Chief of POOL Magazine asked me to write a forward for the second collected volume of twelve issues at a stage when the magazine itself has crossed the magic mark of 50 issues in a sustained burst of publishing, which for me is a major landmark in the history of Indian design publishing. This gave me an occasion as well as a platform to look back at the seeds sown in the pre Independence days to bring design to the attention of the Indian intelligentsia. I find that there is very small clutch of people who have contributed to the bulk of Indian design publishing and it would be pertinent to use this platform to review some of these even if there is a need to look much deeper and expand on this statement as we go forward from here. When I speak of Indian design publishing I exclude journals about architecture, advertising, art and applied art and a wide body of scholarly writings about social cultural and anthropological studies, which have well-established journals of their own. I do not claim this study to be comprehensive but it is based of my personal experiences of trying to study design at the National Institute of Design Ahmedabad from 1969 and my experiences as a teacher at the school since then. The very first magazine that looked at design and helped influence design policy was the journal started by Mulk Raj Anand in 1946 at the behest of J R D Tata and built up as a subsidiary of the NCPA, in Bombay, The Marg Magazine of art, culture and heritage. While it was not exclusively on design it was the only place that had some reflections on the emerging field in the early days. The vacuum was ably filled by the heroic efforts of editor Patwant Singh who first started The Indian Builder in 1953 and then Design in 1957 which was sustained till 1988. His critical coverage of architecture, exhibitions and industrial design was the only platform that provided any semblance of discourse for the emerging field of design across a number of disciplines. I recall reading about the MOMA exhibition of Industrial Design in an early issue of the Design magazine at the time when we were studying the very same objects at the NID Library and Resource Centre where the collection was placed after its journeys across India from 1958 and ending up at the Design Centre in Bombay on Bhulabhai Desai Road for many years, before ending up at NID. Very few Indian designers were showcased and even in architecture it was a case of celebrating the foreign masters such as Corbusier and the modern movement took root under their strong influence. The first Interior Design magazine was established in 1978 with the first four issues of Inside Outside championed by Malika Sarabhai and edited by Sean Mahoney. This magazine was floundering although it had promise and was taken over by The Business India group and then sustained as a bible for the interior design and architecture community over the years. Malika Sarabhai went on with her publishing fervor and built up the Mapin Publishing house in 1984 that has continue to grow and produce over 300 titles capturing a rich fabric of Indian arts and culture in illustrated volumes that have been an useful resource for design. In the early years at NID the only other place where we could find mention of Indian design and designers were furniture journals from Europe where Mini Boga and Ritten Mojumdar were featured regularly in Mobilia in particular. Mini Boga built fine furniture through her Taaru brand in New Delhi and she was the only one to offer her designers royalty for their design when all others simply copied foreign models from Bauhaus and international magazines. Design did not have a place in the scheme of things in Indian industry in those days and even today it seems to be much the same with few exceptions, unfortunately. Design publishing made several valiant but unsuccessful attempts within the Indian design schools and academia with the production of a few books and some newsletters and journals, which however did not sustain themselves. The National Institute of Design was set up in 1961 and in the sixties a few books and catalogues were produced culminating in the NID Documentation 1964-69. Gira Sarabhai was the silent champion of these early publications. She went on to build the Calico Museum of Textiles and there she commissioned numerous books, catalogues and scholarly publications that gave it a preeminent place in Indian design scholarship. The next round of design publications at NID came when the Sarabhai’s left NID and Kumar Vyas was in charge. The series titled Design Folio captured case studies of NID projects and the first issue appeared in 1973 and after Ashoke Chatterjee took over as Director it continued to be published and a total of 8 more issues were offered in 1979, 81, 83, 87, 88 and finally in 1991. These were all edited by R K Bannerjee. NID Publications Department was formerly created in 1989 with Aditi Ranjan as its head and with M P Ranjan and S Balaram she produced the first of the series called Young Designers where student Diploma Projects were showcased for the first time. This has become a regular flagship offering from NID and has been in continuous production ever since. The NID Newsletter was in production through all these years as an official organ of the Institute. After 2000 Dr Koshy with Vijai Singh Khatiyar and Shilpa Das created Trellis and Designed as two journals from NID Publications. In 1969 the Industrial Design Centre was set up in IIT Bombay and a few years later Kirti Trivedi and Sudha Nadkarni came out with a series of IDC News followed the Ulm model as very smartly designed design folders with case studies and news from the IDC faculty and student projects. Kirti Trivedi extended his publishing efforts with a scholarly offering titled Abhikalp that was sustained over several issues. Conferences at IDC also helped create published outputs of which the Readings from Ulm is a memorable offering. Through 2009 -10 three issues of Design Thoughts were produced to share the thoughts of doctoral students through a journal edited by Ravi Pooviah. IDC faculty produced books and reports which were published and a made available through their office. IDC has since moved its publishing efforts online through D-Source, a project sponsored by the Human Resources Ministry which promises to make its teaching resources available to a wider audience in India so as to build a design culture across higher education and the project is partnered by NID Bangalore. Access to the internet and a new environment of blogging and social media helped create another layer of design publishing that the education institutions and media organisations were not able or willing to provide. The Design for India blog by Prof M P Ranjan started in 2007 and has been active since to reach a wide audience. Individual designers interested in reaching out and adding their voice to the issues and concerns saw Sonali Sridhar offer DesignWala blog, Manoj Kotari had Brandinsight, The Little Design Book had a brief but influential existence and was created by four former students of NID. The other notable blogs were Design Thoughts by A Balasubramaniam and Thinking About Design by Deepankar Bhattacharyaya, both former students of NID. Besides these blogs we now have an active exchange of ideas over Facebook and via the social media sites such as DesignIndia discussion lists and PhD-Design List where several thousand designers and design teachers are in constant touch and sharing ideas and concerns with varying degrees of debate and discussion. However, all this put together is a very small output when compared to the huge body of work that is being done by the trained designers from the growing number of schools here in India. It is in this context that we need to view the sustained offerings of the POOL magazines that have tried to capture the flow of work from the design profession and this layer of offering is perhaps the only available reference resource to measure the offerings of Indian design profession as it stands today. This volume of 12 issues includes volumes 12 to 23 issued from June 2011 to May 2012 respectively. At the time of writing this foreword in 2015 POOL Magazine has already issued 56 volumes and is still going strong driven by the passion of a small team led by Sudhir Sharma from his Pune office of Indi Design and he has also been sustaining the DesignIndia forum on several social media platforms to build a vibrant design community here in India. The brief editorials penned by Sudhir Sharma in each issue calls attention to the multiple concerns that face the design community here in India and I am sure that these will be heard sooner than later by policy makers and industry alike when the growing understanding of the value of design sinks into our collective consciousness at the level of government, industry, intelligentsia and general public, the Aam Aadmi in India? Design publishing needs more contributors and several additional categories from reporting, explaining, arguing and reflecting if the theory and philosophy of the discipline are to become visible and become truly appreciated here in India. This will be an interesting space to watch in the years ahead and there is hope of major breakthroughs that are becoming visible to me through the efforts of some very committed designer entrepreneurs who have been rocking the boat and drawing attention to the value that they can bring to wicked problems that have remained entrenched across almost all sectors of our economy. 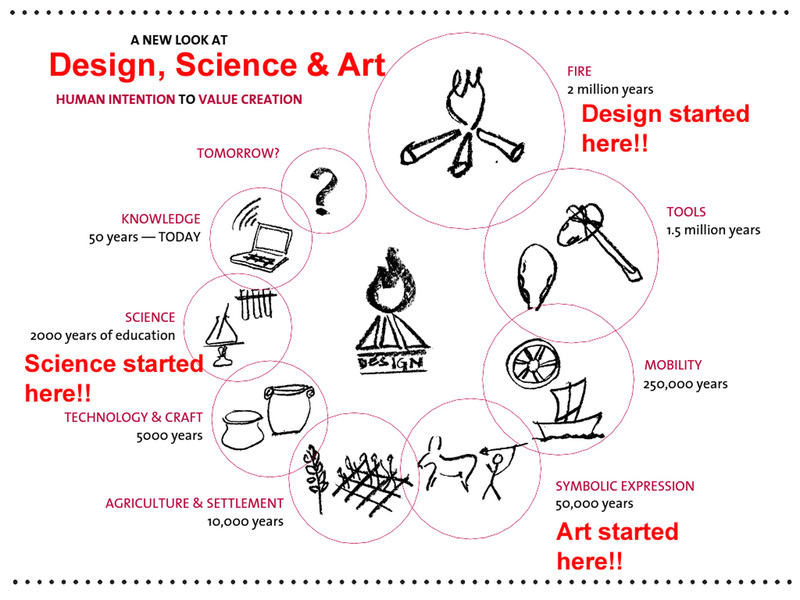 We, as a nation, need design action across 230 sectors of our economy and we are still to become aware of these needs and design publishing will show the way forward I am sure. In this now published foreword I may have missed several significant contributions made to the field and some of these that come to my mind are listed below. Perhaps there are others worth a mention as well. One of these, is an early critical publication which is the contribution by Alberto Cannata and Soumitri Varadarajan who produced a book based on a conference at School of Planning and Architecture, (SPA), New Delhi titled Quality by Design in the 90s.